Bertie Lee Phillips, 90, of North Little Rock passed away peacefully into the loving arms of her Savior, Friday, April 12, 2019. She was born March 29, 1929 in Bee Branch to the late Janettie Etta (Gibbins) and Joseph Benson Davis. Bertie was preceded in death by her parents, seven brothers and sisters, and one precious great grandson. She was a long-time member of Cedar Heights Baptist Church in North Little Rock. 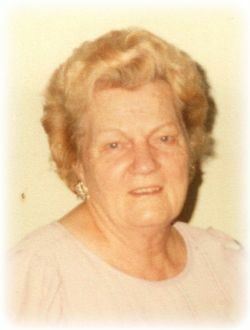 Bertie loved her family and had a passion for cooking, fishing and gardening. She had a cheerful attitude, a quick wit, and a loving heart. Her memory will be forever cherished. Bertie is survived by her loving husband of 69 years O.B. Phillips, one brother, J.C. Davis of Quitman; three daughters, Leevena (Randy) Capel of Vilonia, Regena (James) Vint of N.L.R. and Verlena Fae (Eugene) Davis of N.L.R. ; grandchildren, Stephanie (Pat) Finney, Jason (Lindy) Vint, Travis Vint and Bobby (Shara) Capel; great grandchildren, Matthew, Brooke, Thomas, Neela, Georgia, Maddie and Alana. She is also survived by many beloved nieces and nephews, extended family members and friends. Visitation will be Monday, April 15, 2019 from 6:00- 7:00PM at Roller McNutt Funeral Home in Conway. Funeral Service will begin at 10:00 AM, Tuesday, April 16, 2019 at Cedar Heights Baptist Church in North Little Rock, Arkansas. Burial will follow at 1:30PM at Fairbanks Cemetery in Quitman. Click Play below to view the Video Memorial for Bertie Lee Phillips.